During the Money in the Bank Kickoff Show, Renee Young revealed that the opening match will be the women’s Money in the Bank match. Naomi was asked who she felt would win the match. Although she did not give a clear-cut answer regarding who was going to win, she did state that in order to be remembered as one of the best Women’s Champions of all time, she has to eventually defeat each member of the ladder match in singles bouts. Naomi also had a slight disagreement with Booker T, when he asked whether she had a plan if someone won the match and cashed in on her right after she barely wins her championship match. She responded that she did not have a plan, and Booker T did not approve of this answer. 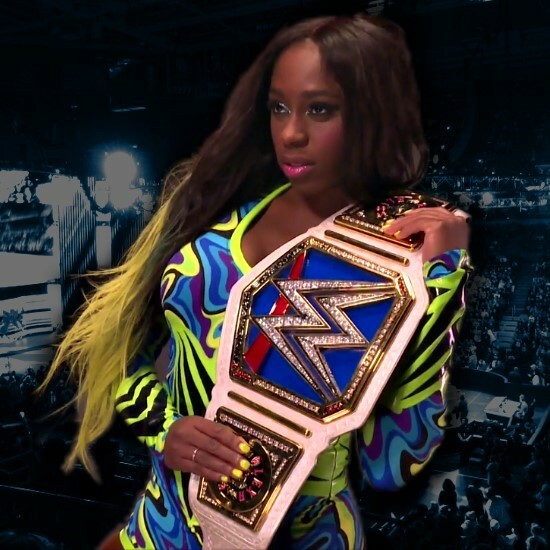 Naomi then stated that she does not know whether she will be up or down after winning the match, but she will be ready, and use the same gameplan that won her the SmackDown Live Women’s Championship. Booker T stated that “the only luck you’re gonna have in life is preparation.” Although Booker T and Naomi did have a disagreement, Booker did predict that she would win her match against Lana. You can follow our PBP coverage at THIS LINK. You can Watch Money in the Bank at THIS LINK.